It’s been several years, but I can remember it as though it was yesterday. I remember the frenzied looks on their faces, the barrage of yelling voices and the veins straining from their contorted faces and necks. I was alone, with my back against the wall. I scanned the maze of the faces and tried to find a solution of how to escape this estrogen filled jungle. To escape the hurtful words, the faces red with anger, the beautiful women made ugly by their words, actions and behavior. All I could think was: “Don’t let them see you cry. You have survived worse; you will navigate this densely populated female infested lipstick jungle. Don’t cry now, you will have time for that later.” So I stood my ground and let them sink me deeper into the quicksand. I prayed for the floor to open up and swallow me as they descended upon me. I was hurt that no one stood up for me. I pleaded with my eyes for someone, anyone to step up and say enough was enough. I looked at the other girls and realized they were just relived to not be on the receiving end of the barrage of verbal abuse. A simple Weekend afternoon meeting, turned into a full blown afternoon of terror and all I could do was remind myself that this too shall pass. As soon as I left the room the dam broke and I cried for three full days. My only vindication was that they never saw me cry. How could the people that I wanted to bond with tear me to pieces? Fast forward to the present and the feelings have been brought back to surface. I watched the Basketball Wives Tahiti vacation fiasco and my eyes welled up with tears. I saw the puffy tear stained face of Kesha and my wounds were fresh again. Grown women tearing other grown women down for sport and pure entertainment value, what a sad concept. I kept watching, hoping that one of the women would stand up for the attacked. I kept hoping that this fragile and soft spoken woman would get a chance that I never had, but just like me, she was not so lucky. I cried as her bully took her personal effects and rendered her helpless. I once read somewhere that “The hottest places in hell are reserved for those who, in times of great moral crisis, maintain their neutrality.” What happened to lifting each other up? As I continued to watch the episode, my heartbreak continued…one down, two more to go. Spies spreading slanderous gossip, bullies spewing venom and those who had the ability to stop the attack became spectators of the hunt. Three women seeking acceptance but were destined not to find solace because they became the hunted. 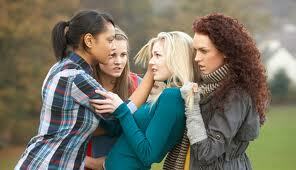 Bullying is real and many grown women have fallen victim to it. It has nothing to do with having a low self-esteem; it has nothing to do with being weak. Some people prefer to avoid confrontation; others prefer to solve their conflicts peaceably; others simply are not good at physical fights. I fall into all these categories. It did not make me a lesser woman then and it does not make me any lesser of a woman now. I prefer to adhere to certain tenants and resolve my issues in a different manner. That experience set forth how I interact with other women, how I choose my friends and how I approach potentially explosive situations. That experience influenced my career choice. I enrolled in law school to advocate for those who have been down trodden and bullied by those who perceive them as weak. I accepted my current position to secure the rights of those experiencing verbal, emotional and physical abuse. Although I know they cannot hurt me anymore, their words buried deep in the recess of my young adult life still manage to creep in my mind at various intervals. At those times, I remind myself that I handled myself with grace and poise. I still wonder if my tormentors ever feel remorse for what transpired that afternoon. Even if you have never been on the receiving end of adult bullying, women, men and children across the world should decide that enough is enough. 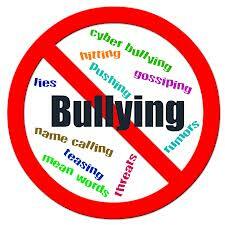 Bullying can and has ruined lives; both grown-ups and children have committed suicide due to bullying. If you or someone you know is being bullied please know that help is out there. 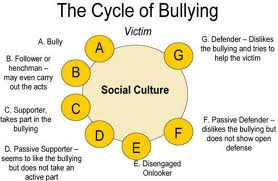 Have you been on the receiving end of bullying? If so, what was the end result?